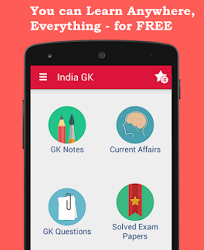 1st September 2016 Current Affairs MCQs, Quiz, Questions: Current Affairs for September 2016, Daily Multiple Choice Questions (MCQs) for India GK, World GK and current affairs with Collection of daily objective type Question by www.Indiagk.net based on General Knowledge (GK) and General Science (GS) Questions for UPSC, State PSC, SSC, Police exam, Railway exam, SBI, Bank PO, IBPC, SSC, LDC, UDC, Army, Airforce, Navy, Coast Guard, Bank Clerk, TET and all entrance examination with current affairs News, Multiple Choice Questions (MCQs) available on Website www.IndiaGK.net and Android Apps with daily updates:. Who is appointed New President of Brazil ? What is the India’s position in the 2016 Logistics Performance Index (LPI)? Railway launches Rs. 10 Lakh travel insurance for e-ticket passengers at how much premium ? Who has been appointed Vice Chief of the Army Staff of the Indian Army? Which state announces 9-month maternity leave for women govt employees on 1st September ?